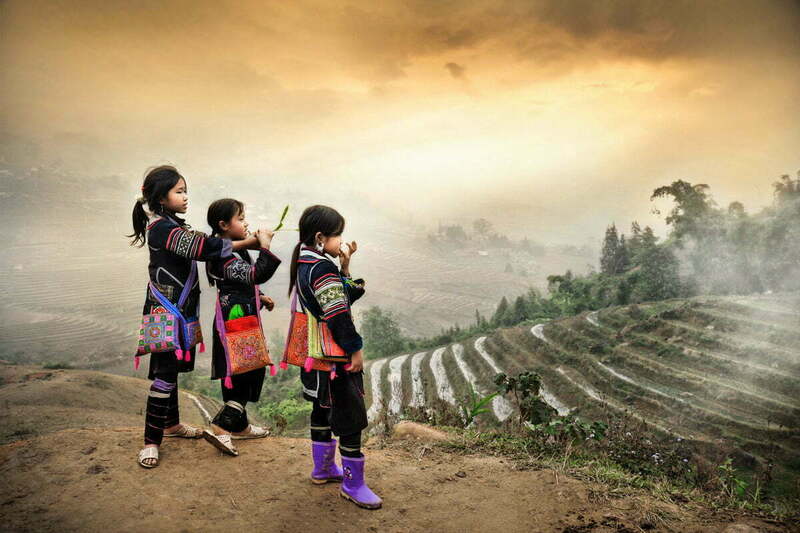 The day is devoted to a beautiful hike through the breath taking scenery of Sapa valley. Start by road that descends in the wake of the street Cau May (6 km) En route, admire the rice terraces hidden behind mist of the morning, a truly awe-inspiring sight. Follow a small track and cross Muong Hoa River and pass well tended rice terraces on your way to the Black Hmong village of Lao Chai. Continuing through the colorful rice terraces you will reach the village of Ta Van Giay. Lunch in the village. After lunch the walk continues through a bamboo forest to Giang Ta Chai, a Red Dao ethnic minority village. Journey back to Sapa.